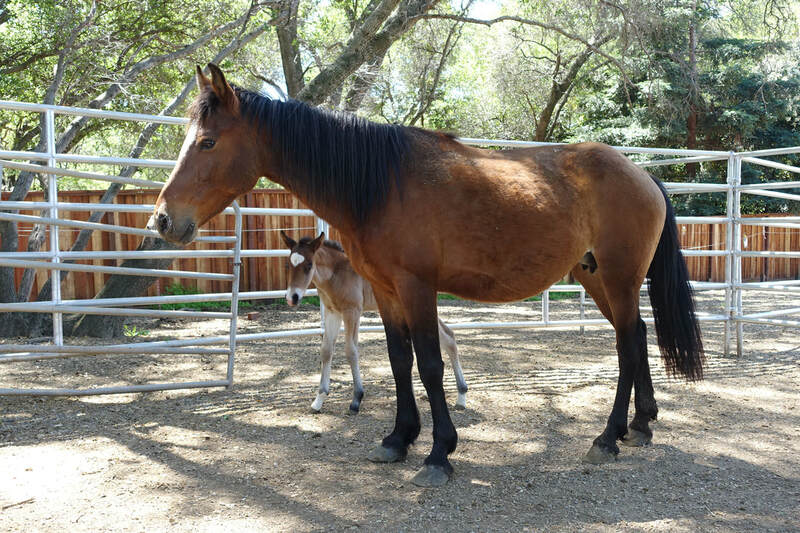 ​AAE welcomed Kelsea and her days old colt, Rucker, from the DreamCatcher Wild Horse and Burro Sanctuary in April of 2018 to support their herd reduction efforts after the long illness and passing of their Executive Director, Barbara Clarke in November of 2016. 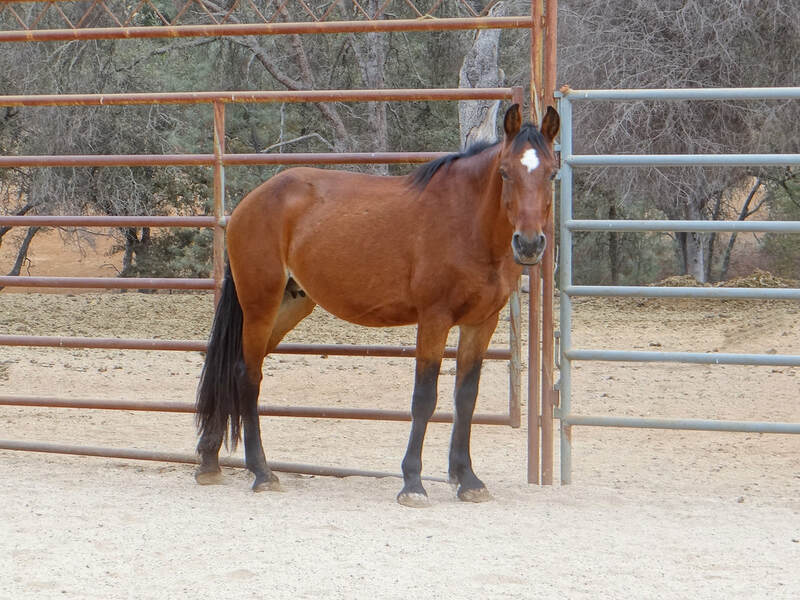 Kelsea is a sweet but timid mare. She wasn't fond of human touch, but due to an eye irritation, she had to learn quickly that she could handle human touch. 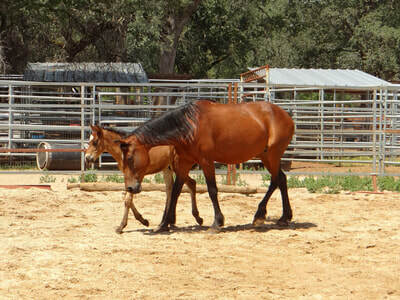 Kelsea has been haltered and handled some, but she needs more time socializing and learning to trust. She's willing, and she has lots of try, but with some reservation. 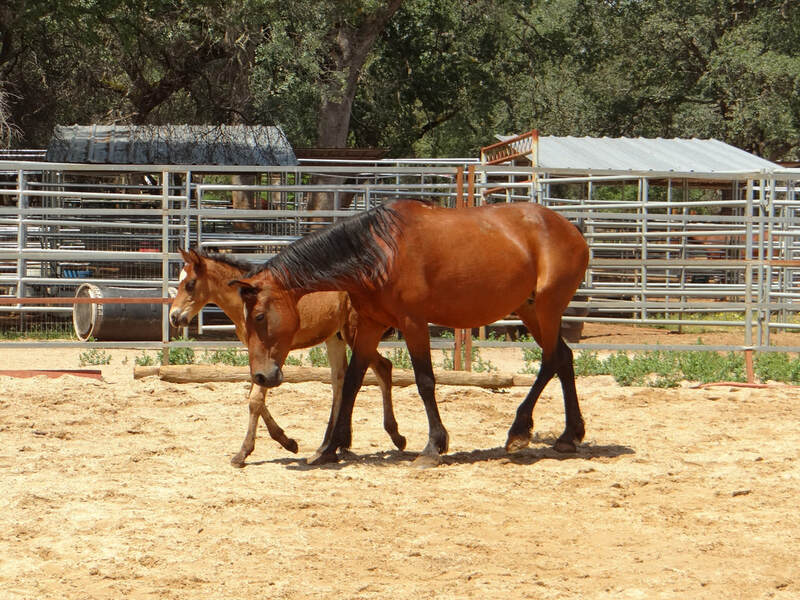 She's still a work in progress, but comes along more every day..
Kelsea is preparing for dental work. 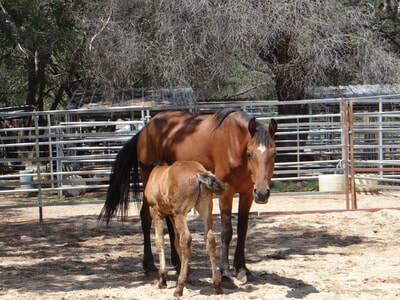 She'll be looking for a home soon after her colt is weaned and she's brave enough for another hoof trim. She'll be current with vaccines and deworming.